Annually, in the two weeks before Lent, thousands of revelers are drawn to the resplendent pageantry of Mardi Gras! Galveston. Texas’ largest and most acclaimed Mardi Gras celebration - replete with sparkling parades and headliner entertainment, grand galas and artwalks, and unbridled energy spawned by more than 50 events - Mardi Gras transcends social, commercial, and tourism significance by unifying people of all ages and ethnicities. While today’s Mardi Gras is facilitated by the City of Galveston and produced by more than a dozen participating krewes, the essence and historical rebirth of Mardi Gras belongs to one man, George P. Mitchell. Nine dazzling floats, gigantic heads of Greek gods, created by renowned New Orleans float-builder, Blaine Kern, and hundreds of musicians, led by famed jazz artist, Pete Fountain, paraded through The Strand in 1985 as 75,000 partygoers spilled into the streets. The sight was electrifying and the Mitchell’s vision of Mardi Gras was revived. 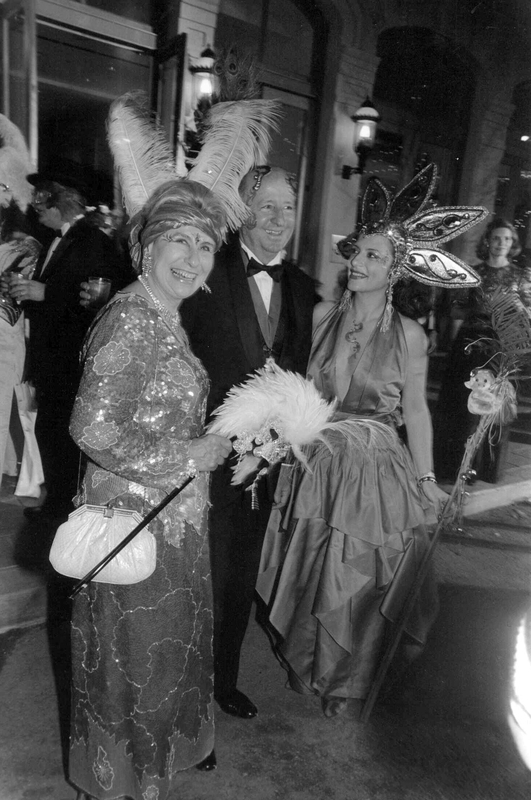 Nineteen-eighty-five also marked the resurrection of the 1871 Mardi Gras society krewe, the Knights of Momus, a Mitchell collaboration with a handful of prominent Galvestonians, whose generosity and commitment made ‘The Age of Mythology’ a triumph rebirth. The Knights of Momus remains Galveston’s grandest krewe and the inspiration for all subsequent krewes that will carry the Mitchell legacy of ‘The Golden Age of Mardi Gras’ into perpetuity. Pictured from left, Mrs. Cynthia Mitchell, Mr. George Mitchell and Mrs. Dancie Perugini Ware. Courtesy of Dancie Perugini Ware Public Relations.